The Venetian Casino Resort property located in Las Vegas, Nevada, features hotel bedding made by DOWNLITE. 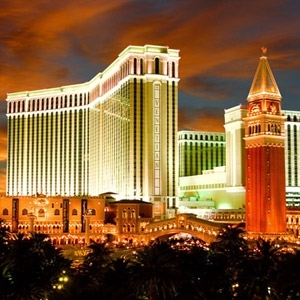 The Venetian Casino Resort use our medium weight down comforters plus our 20/80 down and feather blend pillows. Please note thst the exact 20/80 pillow is not available to consumers, but a very close 25/75 model is under our Eddie Bauer label shown below. These products are available for sale to home customers.